Gottfried von Einem was born in Bern on January 24 1918 as the son of the diplomat William von Einem, who had been stationed in Switzerland since 1914 as military attaché to the Austrian Embassy. Gottfried’s mother, Gertha Louise, was descended from the house of Baron Riess von Scheuernschloss, an officers’ family from Kassel. It was not until the age of about 20 that Gottfried was informed of the identity of his biological father, Count Laszlo Hunyady. The very first, most basic music study was undertaken with his elementary school teacher Kahl, who was eventually succeeded by the piano teacher Käthe Schlotfeldt. The young Einem made quick progress on the piano, and displayed a special predilection for improvisation. Indeed the earliest attempts at composition came from this period, even though most of the basic theoretic principles of music were as yet still unknown to him. Einem was to comment later that hearing George Friedrich Handel’s “Messiah,” Ludwig van Beethoven’s Ninth Symphony and Richard Wager’s “Valkyries” were early concert experiences that left a profound mark on him. Einem attended high school from 1928 until 1937, first in Plön and then later in Ratzeburg; he traveled frequently during his vacations. After passing his German graduation exams, he also earned the equivalent of an Austrian secondary school degree by taking additional tests. A visit in 1934 to the Bayreuth festival left a deep impression on him. 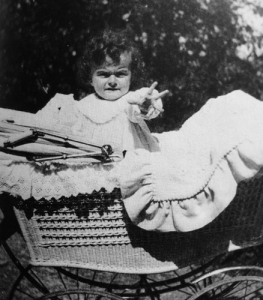 He was also equally excited at this age by the music of Gustav Mahler, whose Ninth Symphony he described in his diary as the “most brilliant symphony of recent times”; Mahler’s works were not allowed to be performed during the Third Reich. After the satisfactory completion of his secondary school studies, Einem traveled to Vienna in order to fulfill his compulsory military service requirements – he was still an Austrian citizen. As he was declared unfit for service within 14 days, nothing else stood in the way of his career in music. 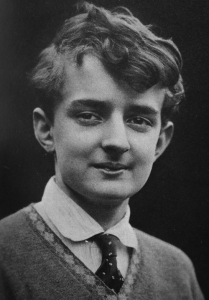 He moved to Berlin in order to study with Paul Hindemith; this study was never realized, however, because Hindemith was suspended from musical activity at the instigation of Joseph Goebbels. So began the “Berlin study and wandering years,” as the composer himself would later refer to them. Einem refused a later offer from Tietjen to be the music director of the City Theater in Kassel; he felt himself dedicated exclusively to the career path of a composer. In 1941, Einem began taking composition lessons with Boris Blacher, whose Symphony Opus 12 had already impressed Einem in 1938. Blacher valued counterpoint studies above all else; his students had to attain complete and precise mastery of strict counterpoint as outlined by Johann Joseph Fux. Einem ultimately felt that it was fortuitous that his original plan to study with Hindemith had not worked out. For the rest of his life he was to be of the opinion that only through a solid, disciplined education in the classical genres could one find legitimate, yet personal and creative solutions in music composition. Boris Blacher was to become – outside of the composition lessons – a close, personal friend who was, in many ways, responsible for some of the most important turning points in Einem’s life. Through Blacher, Einem came to know his first wife, Lianne von Bismarck; she was a pianist and also took composition lessons. Additionally, it was from Blacher that Einem received the impetus and the Libretto for his opera “Dantons Tod [Danton’s Death]”, which established his world-wide reputation. During his studies with Blacher, Einem composed what he deemed to be his first mature work, worthy of the label opus number 1: the ballet “Prinzessin Turandot [Princess Turandot]”. The suggestion that led to the work came from Werner Egk, who was a friend of Einem. Egk had written a ballet himself that was very often performed with Carl Orff’s “Carmina Burana”; wanting to rid himself of this coupling, he asked Einem to write a suitable work. Blacher suggested the text of Luigi Malipiero’s opera “Turandot,” which he adapted together with Einem. The composition was finished in 1942/1943 (now with the title “Princess Turandot”), and was to be premiered in Frankfurt, but eventually instead found its first performance in Dresden under the direction of Karl Elmendorff. The resonance the piece had with the audience at the 1944 premiere was – in Einem’s own words – “phenomenal.” “Princess Turandot” was the first in a string of subsequent ballet compositions: “Das Rondo vom goldenen Kalb [The Rondo of the Golden Calf]”(1952), “Pas de Couer” (1952), “Glück, Tod und Traum” [Happiness, Death and Dream] (1954) and “Medusa” (1957). Nearly one year before the premiere of “Princess Turandot”, Einem presented another work to the public: the “Capriccio” for Orchestra, opus 2. The conductor Leo Borchard led the first performance with the Berlin Philharmonic in March 1943. The triumphant success of the work caused Herbert von Karajan to request another orchestral piece of Einem, which he could perform in his own Philharmonic concerts. Karajan, who had worked at the Berlin Opera since 1938, just like Einem, thereby gave the impetus for the “Concerto for Orchestra”, opus 4, the composition of which was overshadowed by the increasingly dramatic war situation. The slow movement, which Einem gave to Karajan for study immediately after its completion, was destroyed during a bombing raid on Berlin; fortunately for the composer he had kept a second copy for himself. In April 1944 (Einem was working at the time as musical consultant at the Dresden State Opera), the “Concerto for Orchestra” received its premiere in Berlin, and was scathingly critiqued by the press, which rejected the jazz passages in the last movement as “cultural bolshevism”; jazz was considered “degenerate music” and was forbidden. The Minister of Propaganda, Joseph Goebbels, wanted to personally examine the validity of this reproach, and ordered that a recording of the work be produced, so that he might make his own judgement. In the end, the investigation was lost in the disorder of the final phases of the war. During this time, Einem busied himself intensively with his first opera, “Danton’s Death.” He had already come across Georg Büchner’s text in 1944 while in Blacher’s library, and had immediately recognized it as fascinating opera material. Blacher adapted the text into a Libretto; composing the stage work took almost three years, a time characterized by the uncertainty of the early post-war years. In 1945 Einem decided to study composition temporarily with Johann Nepomuk David in Salzburg. In 1946 he married Lianne von Bismarck, whom he had already known since 1941, and was also given several prominent positions in public musical life: consultant to the Board of Directors of the Salzburg Festival as well as of the Vienna Konzerthaus Society. Egon Hilbert, the head of the Austrian State Theater Administration, came to know “Danton’s Death” in 1946 and recommended the work to the Salzburg Festival Board of Directors in the same year; it was decided that the work would be performed during the following year’s festival. Einem had originally wanted Otto Klemperer to be the conductor of the premiere, but for reasons of health, this was not possible. In his place came Ferenc Fricsay, an at the time largely unknown Hungarian conductor who led the preparations to Einem’s great satisfaction. The premiere of the opera took place under Fricsay’s direction on August 6, 1947. It was a tremendous success, unanimously well-received by critics, the public and by musical colleagues. It was called a great moment of musical history; Werner Egk stated that he had “fallen to the floor in wonderment of this masterpiece” and Carl Orff declared the work a “splendid piece with all of the merits of a youthful composition.” In quick succession, the opera was performed by houses in Vienna, Hamburg, Berlin, Hannover, Stuttgart, Paris, Brussels and New York – Gottfried von Einem was transformed overnight into one of the most famous and revered composers of the present. Einem also made his mark as a composer of the concert scene. Year after year, one premiere followed another: “Orchestra Music”, Opus 9, under the direction of Karl Böhm in June 1948 during the International Music Festival of the Vienna Concert House Society; the “Serenade for Double String Orchestra”, opus 10, led by Ferenc Fricsay in Berlin (beginning of 1950); the “Hymn” for Alto, Chorus and Orchestra opus 12 in March 1951 conducted by Fritz Lehmann in the Vienna Konzerthaus. The ballet “The Rondo from the Golden Calf” proved especially successful (premiered at the Hamburg State Opera in 1952); the work was performed for altogether 17 years, moving to the Vienna Volksoper after the premiere in Hamburg, then to the Theater an der Wien in Vienna, and finally to the newly rebuilt Vienna State Opera. Einem first came into contact with Bertolt Brecht through their mutual friend, Caspar Neher, who knew Brecht from their school days together. The poet turned to Einem with the request that the latter acquire an Austrian passport for him. Though Einem knew only the poems, and not Brecht’s theater pieces, he promised to help, and in return asked for Brecht to write a work for the Salzburg Festival. Thus the plan for the “Salzburger Totentanz [Salzburg Death Dance]” came about, which was to replace the annual production of Hugo von Hofmannsthal’s “Jedermann [Everyman]”. While the plans for the production were becoming specific in 1950, there arose vehement opposition to the naturalization of the poet as an Austrian citizen; not only literary Brecht-adversaries such as Hans Wiegel and Friedrich Torberg, but also Salzburg politicians fought against Brecht’s moving to Salzburg. After a long dispute, Brecht ultimately decided instead to choose East Germany as his place of residence. In the aftermath, Einem was suspected of being a communist, and was declared “a disgrace for Austria.” While he began an emotionally-charged fight against these accusations, he was expelled from the Salzburg Festival Board of Directors in December 1951, an organization he had belonged to since 1948, based on his “poor conduct” and his “introduction of the Trojan Horse in the form of a communist.” Satisfaction in that matter came too little too late, when – decades later – the former Salzburg governor and later Prime Minister Josef Kraus explicitly apologised to him for the events surrounding the incident with Bertolt Brecht. Boris Blacher, this time collaborating with Heinz von Cramer, again prepared the libretto; Einem began the composition in 1950. It was not possible to construct an “opera plot” in any literal sense from Kafka’s novel. Instead, the opera consists of a series of pictures based on quotes from the book. These images are moments in the protagonist Josef K.’s life of suffering, images which, on the surface, seem to have little to do with one another and which play against the constant blend of a tangible foreground coupled with a vague, incoherent background. Every one of the nine pictures is built on a specific rhythmic motive and exhibits an unique musical language, so that the scenes are sharply delineated from one another. There was much speculation about the use of a twelve-tone row in the first picture, though to call Einem a serialist would be a misnomer; the dogmatism of the Second Viennese School was something Einem never wished to emulate. “The Trial” was completed in 1952 and premiered as part of the Salzburg Festival on August 17 1953. Arthur Schuh was responsible for the staging, Caspar Neher designed the sets, Karl Böhm conducted, and Max Lorenz sang the part of Josef K. This work also proved to be a great success, and received further performances on numerous European stages. Einem’s plans to settle down permanently in Salzburg were finally discarded in 1953, when the composer received several attractive offers, including the invitation by Karl Böhm to be the musical consultant to the Vienna State Opera. At the end of 1953, the Einem family, which consisted then of Gottfried, his wife Lianne, and their son Caspar, born in 1948, moved to the Austrian capital. In Vienna, Einem achieved a prominent position in the city’s cultural and social life over the course of several years, one which provided him with influence and power over cultural and political concerns. “I never exploited this position for myself, however; I used it constantly to advocate others.” Einem won the Music Prize of the City of Vienna in 1958, and in 1960 he became a member of the Board of Directors of the Vienna Festival. A tragic event overshadowed the year 1962: the death of his wife Lianne, who was “the one constant factor” in the composer’s eventful life. Starting in 1962, Einem became a professor at the Vienna University for Music, a position he would hold until 1972. After a long period of hesitation, Einem decided to take the position, but did so only after laying down several conditions: he wished to teach only at home, and not at the University itself, he refused to have more than six or seven students, and he would only give individual lessons. As a teacher of composition, Einem insisted upon the mastery of traditional counterpoint, just like his teacher, Boris Blacher. A “solid classical basis” seemed to him indispensable; he categorically rejected what he called “free-floating dilettantism.” “My instruction was tailored individually; the aspects I concentrated on depended on the level of talent. A large portion of the work together was spent on analysis of the great masters – Debussy, Beethoven, Mozart, Bach, Wagner, Bruckner.” Students of Einem who have made a name for themselves in the contemporary music scene include Heinz Karl Gruber, Dieter Kaufmann, Brunhilde Sonntag, William Fischer and Klaus Peter Sattler. Einem’s third opera, based on the eponymous comedy by Johann Nestroy, was designated by the composer as his “Viennese” opera. It was begun in 1961, and was dedicated to the memory of his wife, Lianne. Einem once again asked Boris Blacher to adapt the text into a libretto; this time, though, Blacher at first refused. In his opinion, Einem did not have an “Austrian” idiom, and moreover comic opera inherently contained a great risk in and of itself. Einem was nevertheless eventually able to convince Blacher to adapt the play. 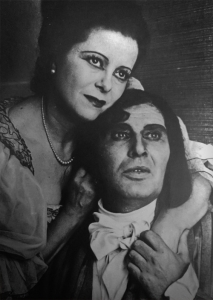 In contrast to the two previous operas, which revolved around male protagonists, the figure of “Kathi” stands in the limelight of “Torn Apart.” The composer himself understood this opera as “the grand song of the institution of marriage,” in which he returned to traditional operatic forms. The premiere of “Torn Apart” took place on September 17 1964 at the Hamburg State Opera. Though the public acclaimed the new work, the Opera House’s director Liebermann decided to remove the production from the season’s program after only three performances due to the negative press reaction. Einem was already familiar with Friedrich Dürrenmatt’s “The Old Lady’s Visit” since 1956, but it was not until eleven years later that he realized his plans to turn the work into an opera. Boris Blacher, who was also initially opposed to adapting this work into a libretto, ultimately shortened and tautened the text, an adaptation for which Dürrenmatt’s consent had to be obtained. Dürrenmatt was subsequently invited to Vienna, so that he could get to know Einem as well as his music by hearing a performance of the composer’s “Danton’s Death,” especially scheduled for him by the Vienna State Opera. Afterwards, he spontaneously decided to undertake the task of adapting the text himself. For the libretto, Dürrenmatt cut nearly a fourth of his original text, a parable about the amorality of a seemingly upstanding man of the petty bourgeoisie whose weak character is exposed by the seductive offer made by Claire Zachanassian, a woman obsessed by revenge. In the new version, the figure of the “Old Lady” was made central. In his setting, Einem again stayed true to his essentially tonal musical language. The result was the partial rejection on the part of specialists, but broad and sustained approval on the part of the general public. The premiere took place on May 1971 in the Vienna State Opera; it was one of the most triumphant successes of Einem’s entire career, in no small part thanks to a very prominent cast: Christa Ludwig as the “Old Lady” and Eberhard Wächter as Ill. Shortly thereafter the opera was performed in Berlin, Graz, Mannheim, Karl-Marx-Stadt (now Chemnitz), Dortmund, Oldenburg and Munich. After “Danton’s Death,” it proved to be Einem’s most popular work. The preparation of libretto to “Intrigue and Love” – based on the produced, the dramatic core of which was a familiar topic from Einem’s earlier operas: “What interested me about the material was the exaggerated attitude to a hypocritical society and a volatile form of human relationships”. The premiere in Vienna on 17 December 1976 (staged by Otto Schenk, conducted by Christoph von Dohnanyi) corresponded particularly with Einem’s strict conception of loyalty to a work, something he expected not only of himself, but from all the colleagues he worked with. The opera was dedicated to the then Austrian President, Rudolf Kirchschläger, and his wife. That Einem’s career as an operatic composer was not always marked by success, but could also at times give rise to scandal, was made clear by the events surrounding the premiere of his mystery opera, “Jesus’ Wedding”, which took place at the Theater an der Wien on May 18 1980. The libretto of the opera was written by Lotte Ingrisch. Misunderstandings – in part, an intentional wish to misunderstand – of this mystically and symbolically conceived text culminated in accusations of blasphemy as well as violent public demonstrations, abusive letters and even death threats. Even before its premiere, church representatives as well as journalists created a derisive atmosphere regarding the work by quoting excerpts from the text that were taken out of context, and by denouncing Einem’s new opera as an enemy to the church and to religion in general. The tensely anticipated premiere under the direction of David Schallon was a complete scandal: Organized screams disrupted the performance, and stink bombs and tomatoes were thrown. The negative reaction in Vienna had a devastating effect on the further reception of the work. The State Theater in Hannover was the only opera house that showed any interest in further performances, which took place in November of 1980 conducted by George Alexander Albrecht. Here, too, press conferences and heated public discussions took place, though the debate, all things considered, was conducted on a higher level than in Vienna. Though Gottfried von Einem principally saw his calling in the field of music drama, concert music nevertheless makes up a significant and striking part of his total output. All categories are represented: large-scale symphonic forms (including “Symphonic Scenes for Orchestra”, 1957; “Dance-Rondo for Orchestra”, 1959; “Night Piece for Orchestra”, 1960; “Bruckner-Dialogue”, 1974; “Munich Symphony”, 1983), piano and violin concertos, works for vocal soloists and orchestra, chamber music for various numbers of players and an extensive collection of songs. A high point in the long series of commissioned works that Einem composed was the Cantata “An die Nachgeborenenen [To Posterity]”; it was written for the 30th anniversary of the United Nations in New York and received its premiere on October 24 1975. The suggestion for the composition of “Tulifant” came from Franz Häussler, the businessman director of the United Stages Vienna. He and Peter Weck were searching for a new work from the artistic couple Einem/Ingrisch, even though the United Stages Vienna had specialized in the performances of musicals. Einem suggested a chamber opera, in which the orchestra consisted of about 20 musicians. Even though the work was completed in 1984, it could not be performed in the intended venue Theater an der Wien; the musical “Cats” had proved an exceptionally long-running success and prevented all other works from being staged. Finally, on October 31 1990, “Tulifant” received its premiere in the Vienna Ronacher Theater. Einem’s seventh and last opera was based on the thoughts of the priest and philosopher Giordano Bruno (1548-1600), who was burned at the stake. The story unfolds in a symbolic, fairy tale realm, and uses allegory to articulate the battle between good and evil, albeit with direct reference to the present. The author, Lotte Ingrisch, continued Austrian traditions dating back to Mozart’s “Magic Flute”; within the framework of a fairy tale, concerning the adventures of the child hero Fridolin and his battle with “Wüsterich”, the personification of belief in progress, present-day issues are metaphorically presented, especially concerns about the conservation of nature and the environment. Einem himself designated “The Tulifant” as his “green” opera. Compositionally, he returned to the simplest elements – easily “singable” themes, a traditional aria structure and a chamber-sized orchestration are the predominant characteristics of the composer’s last statement in the field of music drama. Gottfried von Einem was a fighter; with regard to his opponents, he was rarely known to mince words. In fact, he could approach – and sometimes overstep – the boundaries of coarseness. Despite this, he and above all his music were often accused of complacency, of a lack of readiness to challenge the prevailing trends and preferences of the audience. He was a colorful personality in a political respect: his friendly relations with politicians of different parties aroused suspicion, and many were unable to understand how Einem could display public sympathy for exponents of the left side of the spectrum (especially Bruno Kreisky) as well as for leading candidates of the conservative camp. Clearly, many of Einem’s contemporaries lacked the insight that what stood behind such conduct, which in Austria was very unusual, was not political fickleness, but rather a liberal attitude that did not concern itself with party boundaries. Einem was especially argumentative when it came to confronting narrow-mindedness and its cultural and political manifestations, whether emanating form the conservative faction of the Catholic Church or on more artistic grounds, from advocates of the compositional avant-garde, who considered every “concession” to the public’s listening habits and preferences an unforgivable aesthetic sin. 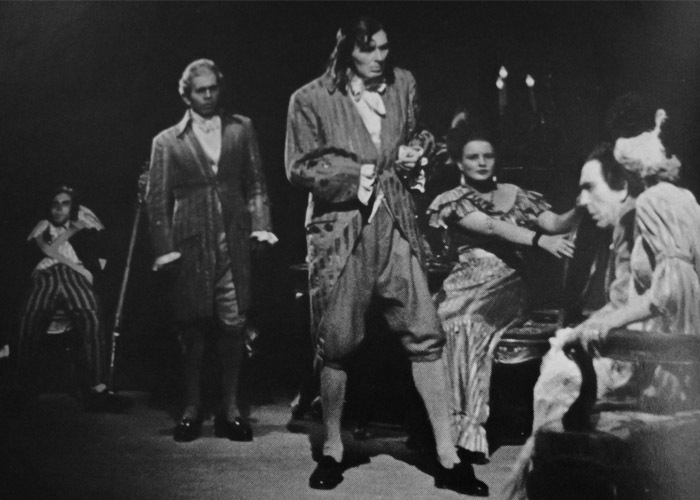 One example is the conflict of opinions over the 1971 premiere of the very successful opera “Der Besuch der alten Dame [The Old Lady’s Visit].” The ideologically argued critique written by Theodor W. Adorno raised the objection that the opera served only to satisfy the musical requirements of the bourgeoisie and that it occasionally used avant-garde musical language merely as camouflage: “If von Einem’s music doesn’t sound quite as amiable as that of Strauss or Puccini, this serves to prove to the audience that it may be listening to advanced composition; otherwise, listening to this music might well cause a guilty conscience” (Hans-Klaus Jungheinrich). Within his relationships to various friends, certain preferences, interests and occasionally even partisanship manifested themselves. Gottfried von Einem’s circle of friends extended well beyond musicians and was a reflection of his broad interest in creativity of every kind. At Einem’s request, Neher was called to Salzburg, where he received much praise for his redesign of the Felsenreitschule [Summer Riding School]. His early death in 1962 was one of Einem’s most devastating experiences. Einem’s friendships with Oskar Kokoschka, Fritz Wotruba and Max Weiler, if not as intensely personal, were marked by deep mutual respect. Einem had felt close to Kokoschka, a “figure of the century,” since his Salzburg years. He had long discussions with Wotruba about the question of what man was able to gain through art, and considered a bronze stele by the sculptor as among the most precious works of art in his Rindlberg house. Max Weiler was a fellow member of the Artistic Senate; it was here that they came to know one another and began their friendship, one which called for few words, as Weiler was “one of the quietest people that I have ever known.” Einem saw Weiler’s paintings as translations of musical concepts such as line and counterpoint into forms and colors. Einem’s “Waldviertel Songs” were inspired by the Waldviertel and its pristine beauty; the songs were written in 1983 as a result of a commission from the Governor of Lower Austria, Siegfried Ludwig. The construction of a new road eventually spoiled the Rindlberg estate for the couple. In the middle of the 1980’s, they started searching for a new residence in the countryside, and eventually found a “wonderful old house” in Oberdürnbach near Maissau. It was here that Einem spent his final years. In the summer of 1995, Einem published his memoirs entitled “Ich hab’ unendlich viel erlebt” [I have lived to see so much] With this candidly told story of his life, he was able to sum up many things – his artistic work, the position of opera in the musical life of the present, and above all, his numerous friendships with notable personalities who left their mark on him, including Wilhelm Furtwängler, Caspar Neher, Herbert von Karajan, Arturo Toscanini, Karl Böhm, Friedrich Cerha, Helmut Wobisch, Ingmar Bergman, Otto Preminger, Fritz Wotruba, Max Weiler, and Oskar Kokoschka. Einem left his artistic legacy to the Archive of the Gesellschaft der Musikfreunde [Society of Friends of Music] in Vienna. Gottfried von Einem died on July 12 1996 in Oberdürnbach. In December 2002, Gottfried von Einem was named a “Righteous among the Nations” receiving the highest honour that the State of Israel gives to non-Jews. With an announcement on 12/4/2002 from the Embassy of the State of Israel, the Israeli Holocaust Memorial Organization Yad Vashem posthumously honoured Gottfried von Einem with the title “Righteous among the Nations”. Those so honoured belong to a group who, from February 1943 until the end of the war, contributed to helping Konrad Latte survive the period of his persecution. In so doing, these helpers risked their own lives, as well as those of their families. During a ceremony on Friday, December 6th, 2002 at 11:00 AM in the Church of the Justice Department’s Tegel Correctional Facility on 39 Seidel Street in Berlin, the Envoy of the State of Israel, Mordechay Lewy, discussed the effect of the honourees and presented their relatives Yad Vashem medals and certificates. The Church of the Tegel Correctional Facility was chosen to host the event as its former Reverend, Harald Poelchau, was also honoured by Yad Vashem in 1971. Among others, it was he who was the deciding factor in Konrad Latte’s survival. 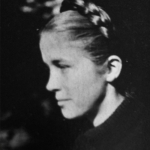 Gertie Siemsen, also an honouree, was at that time his closest co-worker; furthermore, Willy Kranz, similarly honoured, leased the Berlin prison’s cafeterias. The Yad Vashem memorial service was run under the auspices of the Senate Committee for the Justice of Berlin. Yad Vashem, the agency dedicated to the perpetuation of the remembrance of the martyrs and heroes in Jerusalem is both a memorial organization and simultaneously a centre for research, which focuses on the fate of European Jews during the Nazi era. Among the agency’s principal tasks is to commemorate and demonstrate its thanks to those people who, of their own accord, tried to save Jews, despite the danger to their lives and to those of their families. Yad Vashem does this with the title of honour “Righteous among the Nations”: the title comprises medals and certificates, as well as a permanent inscription of the recipient’s name on the memorial wall in the “Garden of the Just” in Yad Vashem. It is the highest honour that Israel confers on non-Jews. Nearly 19,000 women and men from all parts of Europe have received the title; among them are 400 Germans.